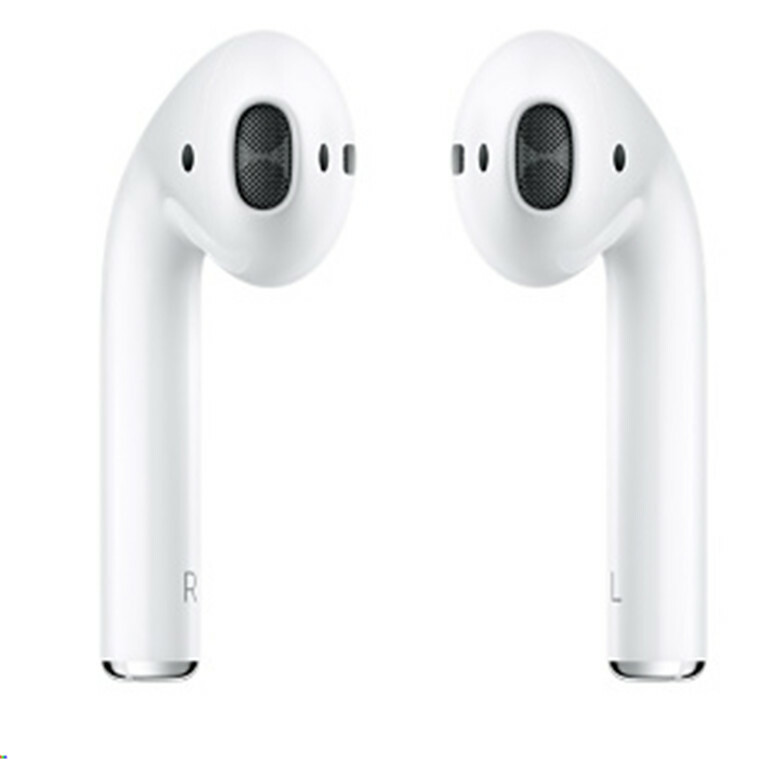 Apple AirPods Truly Wireless In-Ear Headphones - Wireless. Effortless. Magical. The perfect companion for iPhone, iPad, Apple Watch, and Mac. "Great product and a great result, very happy"
"My daughter loves them. Easy to use. Light, practical and no problems at all." "Do the do for the most part what they say they are going to do. However, I’ve had a little difficulty automatically pairing, and have had to go into Bluetooth options and click connect. 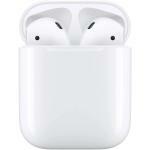 Not always,..."
Driven by the custom Apple W1 chip, AirPods use optical sensors and a motion accelerometer to detect when they're in your ears. Whether you're using both AirPods or just one, the W1 chip automatically routes the audio and engages the microphone. And when you're on a call or talking to Siri, an additional accelerometer works with beamforming microphones to filter out background noise and focus on the sound of your voice. Because the ultra-low-power W1 chip manages battery life so well, AirPods deliver an industry-leading 5 hours of listening time on one charge. And they're made to keep up with you, thanks to a charging case that holds multiple additional charges for more than 24 hours of listening time. Need a quick charge? Just 15 minutes in the case gives you 3 hours of listening time. 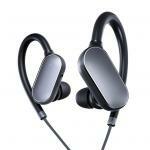 There are a few drawbacks, which need to be considered when buying any wireless headphones. 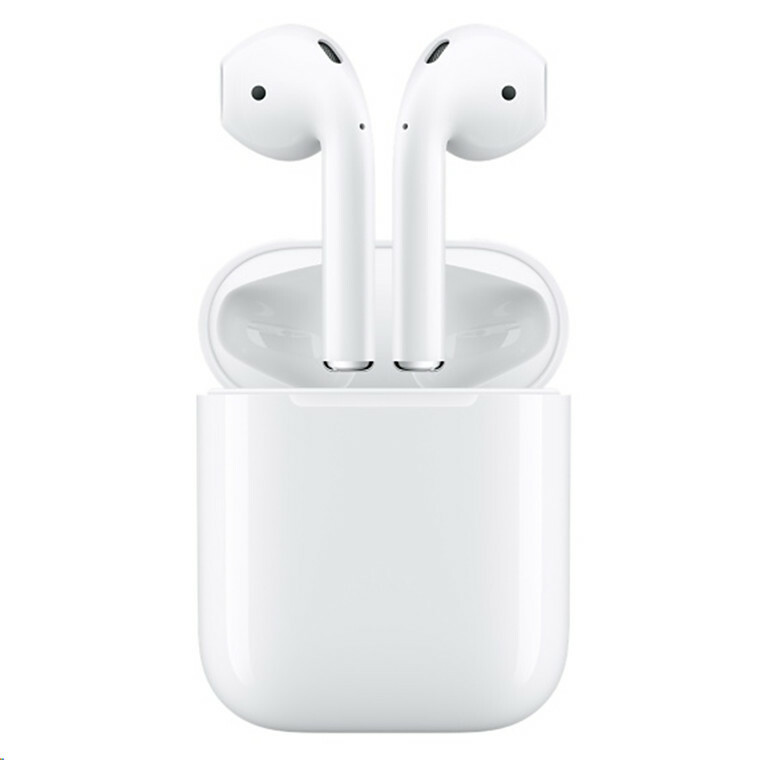 If you have small or shallow ear canals, these aren't the comfiest - use wired apple headphones as your guide. The touch gestures are great, but I have had the odd 'false' touch which starts siri. They don't block out all sound, but compensate by being very loud when required. I have also noticed that the 'thinking' is clearly done by the phone itself (keeping each headphone in sync, etc). This means that on older phones such as the iPhone 6, the phone struggles a bit when playing music. This isn't the biggest drawback but something to consider. 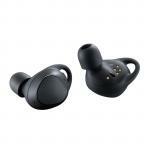 These earbuds are amazing. I literally opened the AirPods case from new and easily connected them to my iPhone 6S Plus. Easy to change the settings so that you can double tap them for Siri, changing music tracks etc. They work just as well with my macbook air and non-Apple equipment. 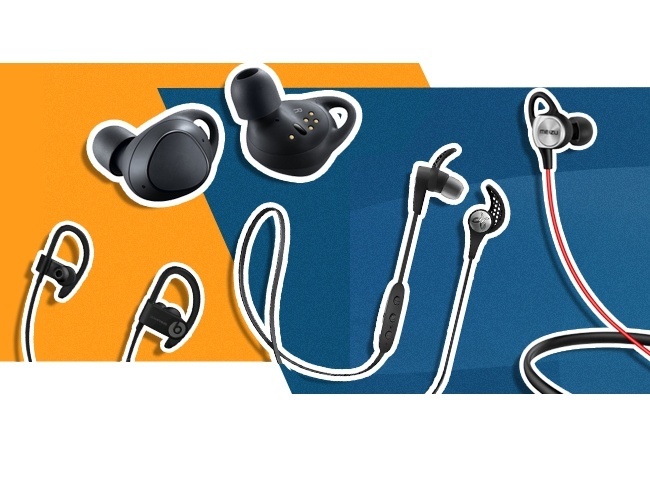 The earbud charge has never been a problem. They don't fall out when running and they sound as good, if not better, possibly with more bass compared with the wired earbuds. Plus, I don't feel stupid as I see many other people wearing them around too now.These earbuds are amazing. I literally opened the AirPods case from new and easily connected them to my iPhone 6S Plus. Easy to change the settings so that you can double tap them for Siri, changing music tracks etc. They work just as well with my macbook air and non-Apple equipment. The earbud charge has never been a problem. They don't fall out when running and they sound as good, if not better, possibly with more bass compared with the wired earbuds. Plus, I don't feel stupid as I see many other people wearing them around too now. Got it on speical, really good price. Use it every day for about 5-6 hours. Charge the box every two days. it is pretty good.Got it on speical, really good price. Really like it.Really like it. I've had the airpods for about a month. Really like how the audio feed stops automatically when you take one or both airpods out your ear/s. The sound quality is good and I can walk round the office or home and still keep connection to my phone. Long battery life. Used with both iphone and android devices quite successfully. Can't think of any negatives except the price which is a bit steep. 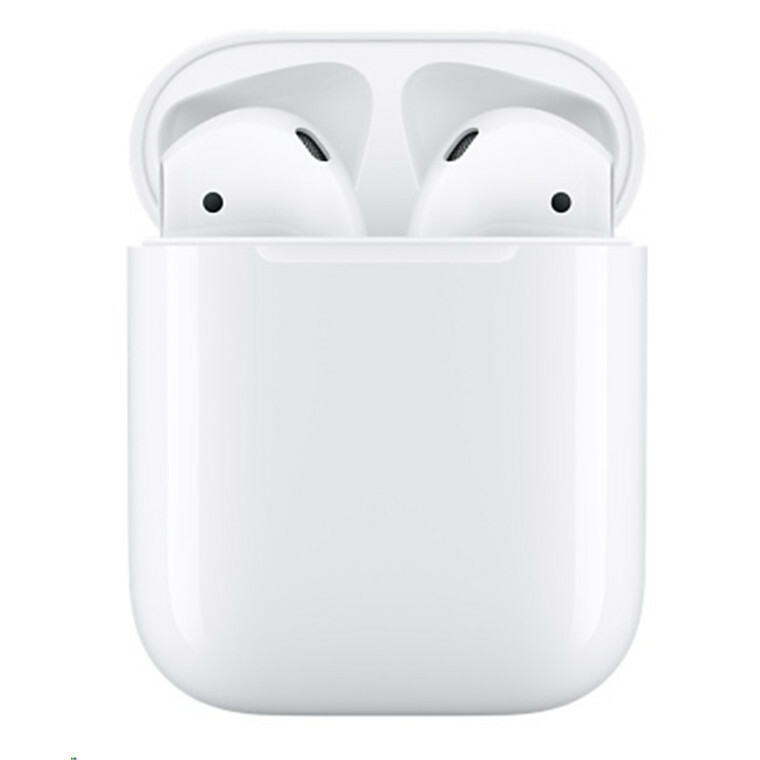 But overall a good product.I've had the airpods for about a month. Really like how the audio feed stops automatically when you take one or both airpods out your ear/s. The sound quality is good and I can walk round the office or home and still keep connection to my phone. Long battery life. Used with both iphone and android devices quite successfully. Can't think of any negatives except the price which is a bit steep. But overall a good product. Great pair of true wireless earphones. The connection is very good and the sound is better than the normal earpods.Great pair of true wireless earphones. The connection is very good and the sound is better than the normal earpods. These have lived up to all my expectations. Nice small charging case. 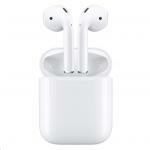 Combination of air pods charge and recharge whilst in case really lasts a long time. With moderate use I'd expect them to last about a week. For my use the sound is superb, but I'm no muso. These all stay in my ears with no issues on a leisurely morning run. Only gripe is that they're awkward to remove from the case each time, but I've only had them a couple of weeks, so hopefully I get better at it. Well done Apple!These have lived up to all my expectations. Nice small charging case. 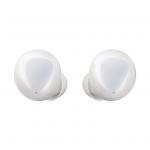 Combination of air pods charge and recharge whilst in case really lasts a long time. With moderate use I'd expect them to last about a week. For my use the sound is superb, but I'm no muso. These all stay in my ears with no issues on a leisurely morning run. Only gripe is that they're awkward to remove from the case each time, but I've only had them a couple of weeks, so hopefully I get better at it. Well done Apple! My daughter loves them. Easy to use. Light, practical and no problems at all.My daughter loves them. Easy to use. Light, practical and no problems at all. Do the do for the most part what they say they are going to do. However, I’ve had a little difficulty automatically pairing, and have had to go into Bluetooth options and click connect. Not always, but it’s a hassle. I use them when I’m running and they stay in my ears and have enough volume to drown out the gym noise. I have owned them for about a month now. The case feels a little bit on the ‘cheap and tacky’ side of things and I suspect it won’t stay pure white for long simply because of UV and hand oils etc. The battery life is excellent, not to mention only having to charge the case maybe once a week tops. View MoreDo the do for the most part what they say they are going to do. However, I’ve had a little difficulty automatically pairing, and have had to go into Bluetooth options and click connect. Not always, but it’s a hassle. Overall, decent value for money, though they are (as most Apple products are) a bit overpriced for what you get.